Just like residential properties, office space participates in a considerable consumption of energy and resources. But if you design an environmentally-friendly office, you will send a positive message to your employees and they will take that positive behavior home. So, here is how you can turn your office green and join the ever-growing movement to save the planet. Natural sunlight is known to increase productivity, create a positive work environment and boost the well-being of employees. Moreover, naturally lit space will reduce the use of lights and therefore consumption of energy during the day. So, naturally lit office is both rewarding to employees and environmentally-friendly solution for a business. Designers always advise that space should take full advantage of windows especially if the orientation doesn’t provide exposure to the sun throughout the day. Large windows and full glass paneling will give way to the maximum amount of natural light and also improve the décor. If you can’t use such an extreme solution, the LED lighting will keep the office bright and also reduce the use of energy. Biophilic design is a concept that will help occupants of an interior to maintain a connection with the natural environment. It will help you create a better, healthier and happier working environment by only changing an approach to the interior design. Since employees will spend at least eight hours a day inside, inviting the nature inside will be healing for them as well as for the environment. Use natural materials like recycled wood to build shelves, doors, and furniture in your office and stone for the wall ornamentation. Add as many plants as possible and especially those that produce oxygen since they will keep the air clean and fresh. Instead of hanging paintings, install panels with succulents which are low maintenance and go hand in hand with an abundance of natural light. While you will use renewable materials like bamboo and recycled glass and wood to build your office, the finishing touch will fall on the paint job. Many building materials include volatile organic compound or VOC which is toxic to humans and animals. When inhaled, these compound can cause health problems and so you should always choose the products with the lowest or no amounts of VOC. Low and no VOC paints have very little odor dry quickly, are durable and provide good coverage so they are a not only healthier but also equally effective solution. Unfortunately, these paints still can include some other toxic compounds, but many eco-friendly paints are becoming more and more available on the market. Products like milk paint, plant or mineral based paints and recycled paint are available as alternatives but not all stores have them. You may have an idea what you want, but the professional you hire to perform the works will be the one making it all happen. In order to create an environmentally-friendly office, the fit-out specialist will have to know the materials and practices that will give you what you want. Companies with years of experience in commercial fit-outs like Impecca Build will respect your wishes and financial budget. Experienced fit-out specialists know the newest trends and best techniques to create green office space. And through close cooperation with you, they will be able to fulfil your goals and give you the office you want that respects eco-friendly standards. A green roof is a construction practice that is more and more present all over the world for its eco-friendly properties. It includes covering the roof with living plants which will serve an insulator. Namely, during summer, the green roof will prevent the heat to enter the building and retain warmth inside in the winter. With a green roof, you will lower the energy bills, decrease gas emissions from HVAC and reduce the heat that goes into the atmosphere. Additionally, the green roof also improves stormwater management, protects the roofing system and reduces noise. And not to mention it will also serve as habitat for wildlife and boost urban agriculture. 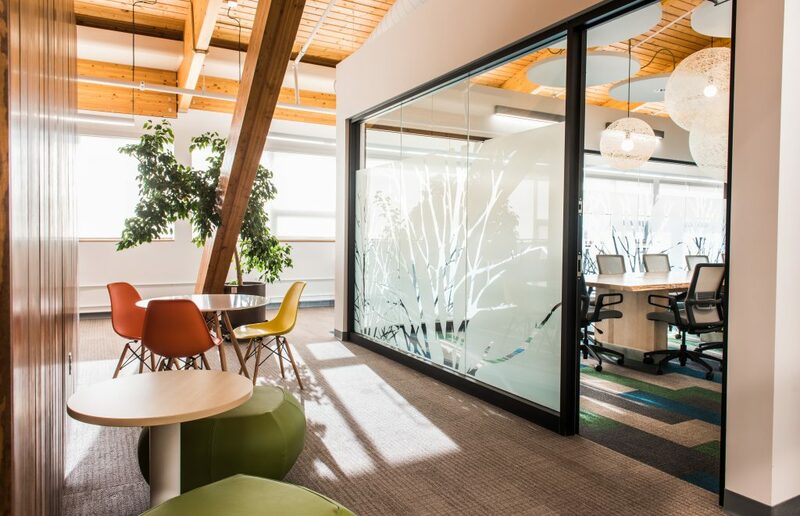 From biophilic design to the green roofing system, the environmentally-friendly office can include a lot of modern practices that will create a healthy workspace. Work closely with your fit-out specialist and respect the green design practices, and in no time you will design an environmentally-friendly office for both your employees and the planet.